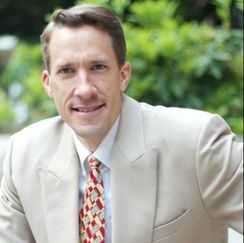 Ben is a business, real estate and tax attorney with 21 years of experience practicing law in Oregon. He has helped hundreds of clients start and maintain businesses, conduct successful real estate transactions, and file lawsuits, or defend clients in state and federal court. His goal is to provide superior service for a reasonable cost, on-time and within a client's budget. When he's not working, Ben enjoys spending time with his wife of 20 years and their 5 children, gardening, sports, playing his Roland Fantom keyboard, guitars, and singing. "We had an excellent experience with Benjamin Knaupp as our attorney. He is very knowledgeable and took the time to explain issues in terms that we understood. He was thorough and always responded in a timely manner. We would not hesitate to retain his services again." "I used Mr. Knaupp for some complicated real estate matters and found him to be reliable, responsive, knowledgeable, and extremely professional. An excellent advocate for our business."